Nothing gives more happiness than spreading joys and bringing smiles on the faces of others. The staff and crew at Marasa Sarovar Premier does this through the acts of giving. The believe in making a difference in people's life through their CSR activity of extending support to a Tirupati based Charity, Abhay Kshetram. better life and education to the physically challenged but also offer them an opportunity for employment and build better lives of the people residing in the charity. The hotel collects a voluntary contribution of a paltry sum of Rs 20 from the guests and matches it with equal amount from the hotel each month and donates it to the charity. 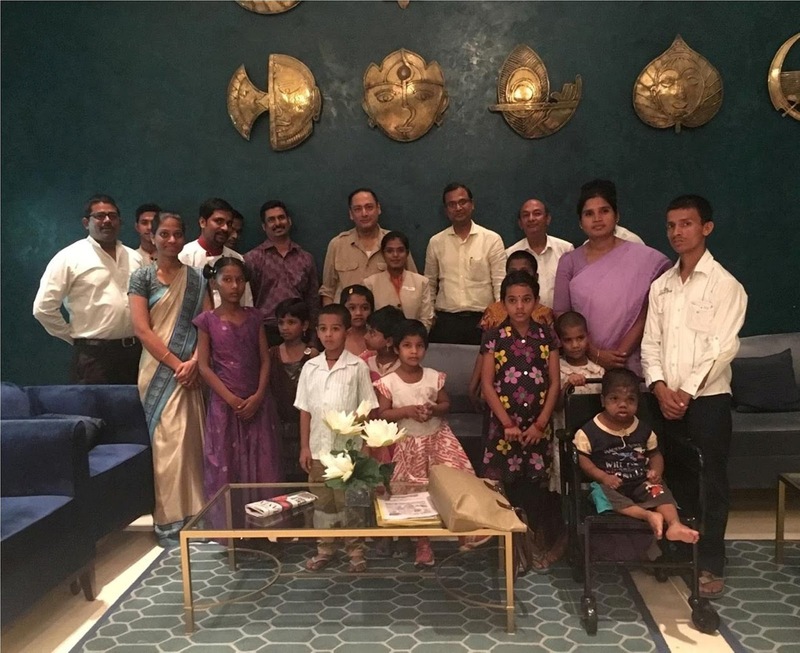 The hotel recently hosted few of the kids from the charity along with their caretakers. Abhay Kshetram is involved in an extremely noble cause of promising a better life for the physically challenged children and those adults who are ostracised by society.